Make a veterans clothing donation, household items donations, and furniture donations to Vietnam Veterans of America by scheduling a free VVA donation pick-up through Donation Town. Donation Town will give you all the information you need to schedule a Vietnam veterans donation pick up in your local community. Visit the donation pick up scheduling webpage. Vietnam veterans donations can be pick up right at your home! Vietnam Veterans of America is an national organization that is dedicated to Viet Nam veterans and their families. VVA is an organization of advocates for Vietnam Veterans, working to make sure veterans receive adequate health care and all their military related illnesses are recognized and cared for. Additionally, VVA seeks to help our next generation of veterans. By scheduling your free Vietnam Veterans of American donation pickup online today, you can help Vietnam Veterans of America support their charitable services. Viet Nam Veterans of America thrift stores accept various household item donations and clothing donations. A lot of potential donors have questions about the VVA donation pick up program. We have compiled some answers, but your best bet is to use our online donation scheduling directory to contact your local veterans donation pick up program. I need a place to donate things to Vietnam Veterans…Does VVA offer donation pick ups? – YES, in many areas of the country like Los Angeles, Denver, Long Island, Pittsburgh and Philadelphia. How to schedule a Vietnam Veterans donation pick up? How can I donate to Amvets? How do I schedule an Amvets pick up? – Contact them to schedule a donation pick up. You can use our Donation Town directory for contact information (which includes a phone number or online scheduling if applicable). What type of donations does the VVA accept? How can I donate clothing to veterans? Can I donate clothing to Vietnam Veterans? Will VVA pick up clothes donations? 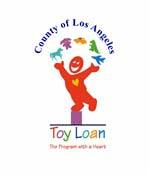 Can you donate toys to VVA? – Typically most veteran donation pickup programs accept clothing, furniture, shoes, books, toys. Just about anything. When you use the Donation Town directory you can get the local contact information for your VVA donation pick-up service and ask them directly about specific questions regarding your donations. 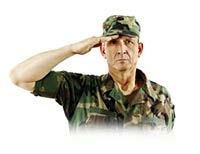 Are donations to VVA tax deductible? – Yes they should be, BUT you should always contact your CPA for more details. Vietnam Veterans of America is there to stand up for veterans to ensure they are treated fairly and appropriately by our government with access to adequate health care and that all their military related illnesses are recognized. To help VVA in their mission to represent veterans, donate clothes and donate household items to Vietnam Veterans of America thrift stores. Schedule a VVA donation pick up! Schedule a Vietnam Veterans of America clothes donation pickup now. VVA accepts a variety of donations including clothing donations, household items donations, and jewelry donations. Donate furniture without the hassles of transporting heavy or bulky items. All donations are tax-deductible and you’ll receive a tax deduction receipt when your donations are picked up. Make your Viet Nam Veterans of America clothing donation pickup appointment online today! Vietnam Veterans of America services people all over the United States. The profits from your VVA clothing donations will go towards advocacy for Vietnam veterans as well as our next generation of veterans. With DonationTown.org you can schedule a free Vietnam Veterans of America donation pick-up online for the time and place of your convenience, and in return you’ll receive a tax-deductible receipt upon pick up. With DonationTown.org, scheduling a free Vietnam Veterans of America donation pick up all over the United States has never been easier. You can schedule a VVA donation pickup for the time and place of your convenience, whether that is at your home or place of business, and you’ll receive a tax deduction receipt upon pick-up for your Viet Nam Veterans of America donations.